Cupertino Chipotle is holding a fundraiser for the Homestead HS music program. 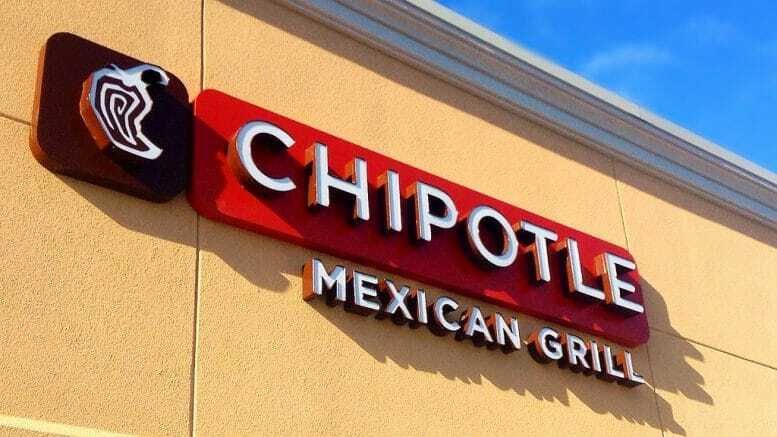 Dining at a Cupertino Chipotle restaurant this Sunday night will serve a good cause. The restaurant at 20688 Homestead Road is hosting a fundraiser for the Homestead High School Music Program from 5 p.m. to 9 p.m. on Sunday, Oct. 14. Bring the flyer below, show it on your smartphone or simply tell the cashier you are supporting this cause, and 33-percent of the proceeds from your purchase will go to support Homestead High School Music Boosters. 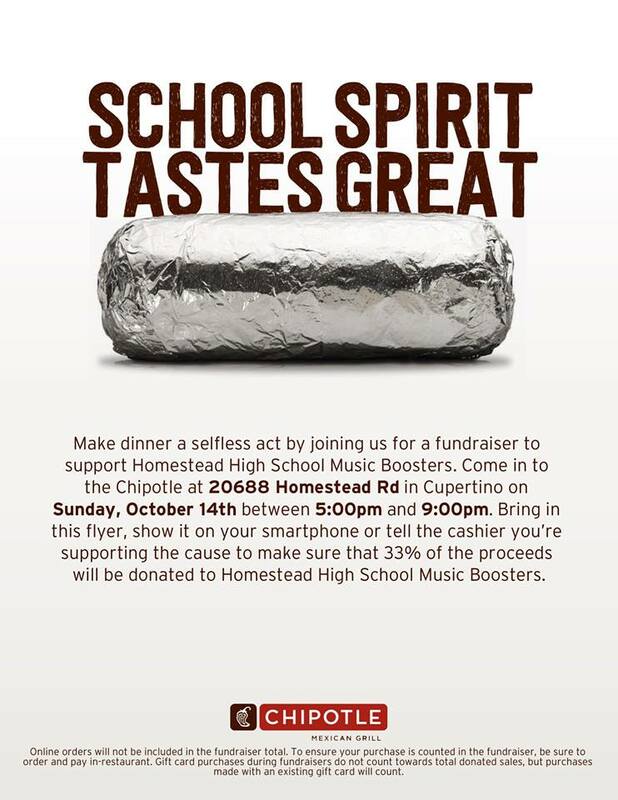 Be the first to comment on "Cupertino Chipotle holding fundraiser for Homestead HS music program"